Back in March, I started something new on AppUnwrapper.com. I gave a roundup of all the best games I wrote about throughout the month. I was very busy in April and May, so April never got its own roundup. But fear not! It’s back and with a double-whammy including both months. So, without further ado, I give you the April/May 2015 iOS games roundup. I will post the most notable games first. I spent a large chunk of my April playing Double Fine’s Broken Age from beginning to end, as well as writing a very detailed walkthrough for it. You can read my full review here, but the gist of it is that it’s a must-play game for point-and-click adventure fans. While the second act does have a few illogical or unfair puzzles, for the most part I loved the increase in difficulty. If you’re looking for a humorous game with a cast of quirky characters and tricky puzzles, give Broken Age a download. Implosion by Rayark Games is a rarely-found premium action RPG that is a blast to play. The graphics are gorgeous, the controls are smooth, and there are “badges” to earn, which will keep you playing for quite a long time. The game is also iCloud-enabled, making it perfect for those with multiple devices. You can read my full review here and my walkthrough guide here. I’ve also been spending quite a bit of time playing Sproggiwood by FreeHold Games. It’s a cutesy roguelike that’s deceptively challenging. There’s a lot of strategy involved, but the RPG elements make it hard not to play just one more game. You can read my full review here. Til Morning’s Light is a massive 3D point-and-click adventure by Amazon Game Studios and WayForward Technologies. There are over a hundred rooms to explore as you solve puzzles and battle monsters. The puzzles themselves never get very challenging, and the monsters get tedious after a while. But the atmosphere, exploration, voice acting and music make it a game worth experiencing. I worked very hard on what is possibly my longest walkthrough ever for it, so please refer to it if you get stuck. Contradiction by Tim Follin is a fully live-acted murder mystery that came out a little while ago but is only available on iPad. Since I finally have one, I was able to play it. I thoroughly enjoyed my time with the game and had mostly good things to say. You can read my full review here. Legend of Grimrock by Almost Human was first a PC game, but it recently made its way to iPad. It mixes dungeon crawling with realtime puzzles and combat. It’s a smooth game that offers quite a challenge. You can read my full review here. And if you don’t have an iPad, fear not — the developers are working on an iPhone version! You can also read my guide if you need some help with the game. 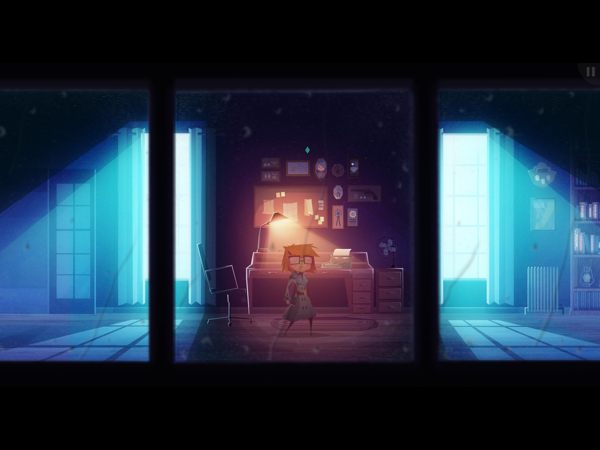 One of the upcoming games I’m most looking forward to is Jenny LeClue by Mografi. It’s still in development, but recently a Playable Teaser was released in the App Store. It gives you a little taste of the game and is completely free. I highly suggest playing it so you’ll be as eager as I am for the full game’s release. You can read my walkthrough here if you get stuck. 3D Methods have made several Cryptic games by now, and Cryptic Labyrinth is their latest. While not as challenging as their previous games, it does scratch that room escape itch for a little while. You can see my walkthrough here if you get stuck. Puzzle House: Mystery Rising by PugaPuma was my favorite game from March. It was only playable on tablets before, but it has since been iPhone-enabled. You can read more about it here. I had really high hopes for Forgotten Memories: Alternate Realities by Psychoz (Psychose) Interactive, but couldn’t enjoy it due to control issues, lighting issues and some other problems. Some people do like it, though, and the developers have been working hard to improve the experience, so check it out if you like atmospheric horror games. You can read my first impressions here, my review here, and my guide here. The Forgotten Treasure by Peeking Peacock HB is a short little point-and-click adventure game with a pleasant art style and good controls. The puzzles aren’t terribly challenging, but it’s a nice little diversion if you’re looking for something to play. You can see my walkthrough here. Prison Escape Puzzle by Emmanuel De Los Santos is another short little room escape game to kill some time. It’s free and features some decent puzzles. If you need some help, you can see my walkthrough here. The Paris Dossier by Lexica Games is a point-and-click adventure that takes place in 1940s France. It has some flaws, but if you can live with them, it’s a decent game with interesting puzzles. The first chapter is free with an in-app purchase to unlock the rest of the game. So give it a try. You can read my full review here and my walkthrough here. Last Voyage by Semidome is a short little atmospheric game with a mix of puzzles and skills-based levels. I wasn’t terribly impressed with it, but it costs only $0.99 and a lot of people seemed to like it. You can see my walkthrough here. 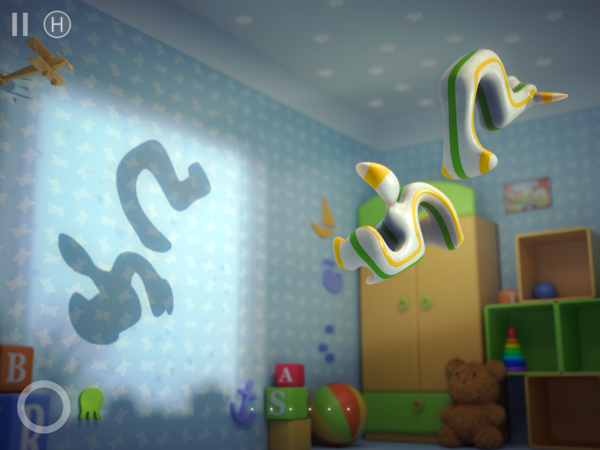 Shadowmatic by TRIADA Studio got some new levels added to the Childhood theme. You can see my walkthrough for those levels here. RGB Express by Bad Crane Ltd got eighty new levels! They’re called Future I & II and introduce the new hover board, which can go over grass. This adds a new element to the puzzles and is definitely worth checking out. You can also see my walkthrough here. REBUS – Absurd Logic Game by Jutiful also got some new levels. You can see my walkthrough for them here. 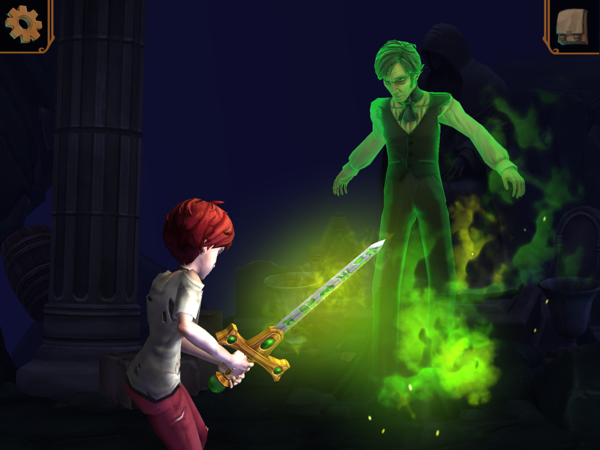 And finally, I added a walkthrough for Fire Maple Games’ The Secret of Grisly Manor by Fire Maple Games since the sequel is in the works. Whew! That was a busy two months! I hope you found some good games in this list, and I’ll see back here next month with another roundup!